The Tampa Bay Rays haven't had much to be genuinely excited about in an up-and-down first third of the season, but a youth movement could do that with more games like Monday's 8-4 win over the Toronto Blue Jays. For the first time in the major leagues, two of the franchise's top prospects, shortstop Willy Adames and first baseman Jake Bauers, played together. Each drove in two runs to open a three-game series against Toronto. "Our two young guys came in, really impacted us in a big way and helped us win a game," Rays manager Kevin Cash said. Bauers got his first home run in his first game in the majors, and Adames had two RBIs in his return to Tampa Bay after a three-game cameo last month. "I told him, 'Were you waiting for me to get here to hit your first homer?' and he said, 'Yes, buddy,'" Adames said. The Rays (30-35) inched ahead of the Blue Jays (30-36) in the American League East standings, though they'll be back to a familiar adversity Tuesday, going without a traditional starter. Tampa Bay is pushing through a rash of injuries with its starting pitching, with news Monday that top starter Chris Archer had a setback and is now on hold after once having hopes of returning to the rotation Sunday. On Tuesday, that means Ryne Stanek will be the Rays' "opener" -- he was originally scheduled to do so Monday but was pressed into duty in the ninth inning Sunday, pushing back his scheduled start. Stanek (1-1, 3.14 ERA) has pitched well in June, with four appearances and a 0.00 ERA, allowing only two hits in 4 2/3 innings while striking out seven. 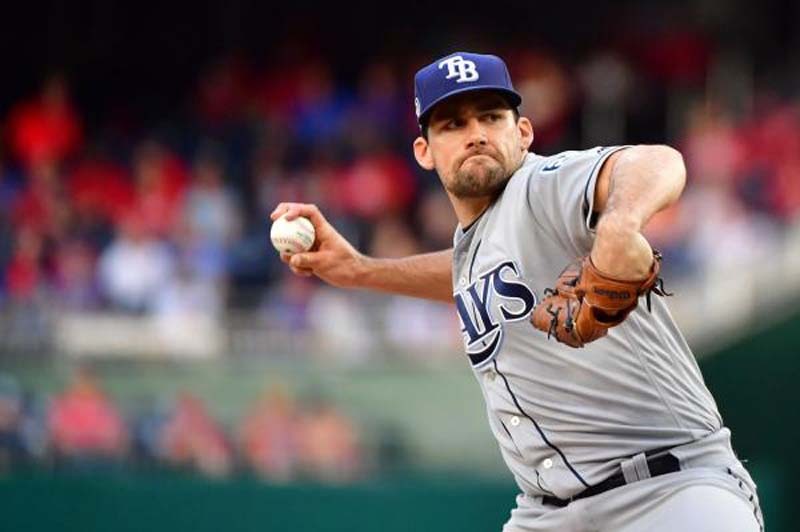 He'll likely pitch no more than two innings, setting up a bullpen day after three Rays relievers each pitched a scoreless inning to seal Monday's win. Toronto has stuck with traditional starters, even when they haven't fared well, like Jaime Garcia, who pitched for three teams last season and is on his fourth in less than a year with the Jays. Garcia is 2-4 with a 5.57 ERA, though his last outing was a solid one, holding the Baltimore Orioles to one run and four hits in six innings. "It was the first time in a while I can remember us scoring a bunch of runs early here," Jays manager John Gibbons said. "Every time we did, they came back and answered and took the lead, and they broke it open late."